Blueberry & Raspberry Coffee Cake Recipe - Let the Baking Begin! 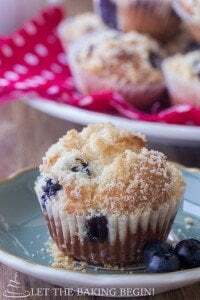 Blueberry Raspberry Coffee Cake is made with bursting berries and topped with crunchy Streusel Topping. 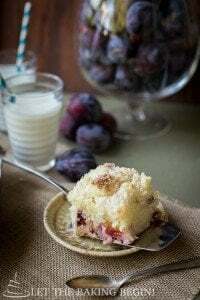 This Berry Coffee Cake recipe can be baked as muffins or a coffee cake, the choice is yours! Anytime I go into Starbucks, I get my coffee & their blueberry or raspberry coffee cake. I’ve been trying to find a recipe that would be something like what they carry. After trying a couple of recipes, I think this one comes pretty close. I didn’t make it in the cupcake form. Instead, I made 2 loaves, from one recipe. 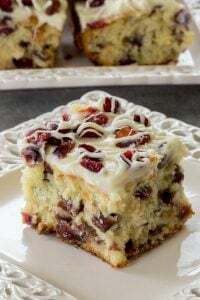 This is a good cake to go with coffee or milk in the morning or as an end to a meal. 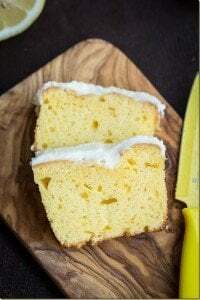 Lemon Loaf Cake – Lemon cake recipe is topped with a delicious creamy powdered sugar lemon glaze. Apple Coffee Cake – Moist cake made with fresh apples and a delicious crumb topping. 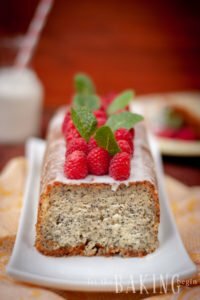 Poppyseed Cake – Moist poppyseed cake topped with a lemon glaze. Prep: Turn oven to 300F. Line two 9"x5" loaf pans with parchment paper or foil. In a bowl, mix together flour, brown sugar and salt. Add melted butter, then using a fork or hands bring everything together, by pressing with a fork or pressing between your fingers until crumbly mixture forms. Refrigerate. Dry Ingredients: In a large bowl combine flour, baking powder and salt. In a mixer bowl whip together eggs and sugar on medium speed until lighter in color and increased in volume, about 5 minutes. Next, add the butter while continuing to mix. Add vanilla, lemon zest, and juice, then stir to combine. Fold in the dry ingredients in thirds. Add the blueberries and raspberry and gently fold to incorporate. Divide the batter between two 9"x5" loaf pans or one round 9" springform pan. Sprinkle with the Streusel topping and bake for 1 hour (if baking in loaf pans) or until a toothpick inserted int he middle comes out clean. Remove from the oven and cool in the pan until completely cooled. Combine 1 cup powdered sugar with 1 tbsp lemon juice at a time and whisk until smooth but pourable.